Bring any room to life with custom vinyl wall graphics! Cut to any shape and size, our wall decals can totally transform a room with their crisp edges and vibrant colors. 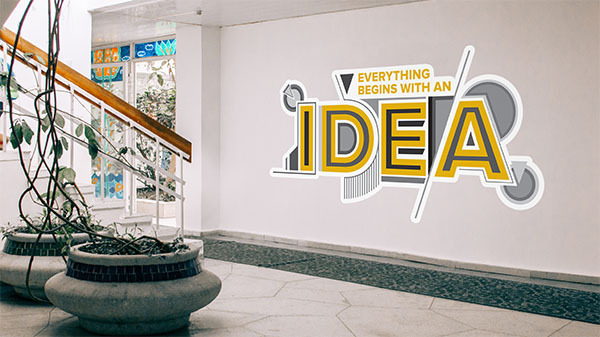 Share an inspirational quote, display your logo, or create an artistic atmosphere with custom vinyl wall graphics! With our easy to use online designer, you can quickly design your custom vinyl wall graphics. Just upload an image or logo from your computer or choose from our wide selection of clipart to create your personalized vinyl wall graphic. If you decide to upload an original file, instead of designing your own, you will need to upload an .eps file. This ensures that you will receive the highest quality vinyl wall graphics possible! Once you have added your product to your cart and select your shipping method, a proof will be emailed to you. When you approve your proof and make a payment, your order will be complete. All orders must be paid up front prior to being put into production. We accept VISA, Mastercard, American Express, and Discover credit cards. We also accept checks, which must be received prior to your vinyl wall graphics being put into production. After placing your order for vinyl wall graphics, you’ll receive a unique Live Order Tracking number via email that will allow you to track your vinyl wall graphics every step of the way. Need the current status of your order? Just click the link in the email and get the most recent updates from our dynamic Live Order Tracking system. Once your order has been approved and your payment is received, our standard production time is 2–3 business days. Large quantity orders may require more time in production. After your vinyl wall graphics have been completed, they will be shipped via UPS. Our centralized production facility allows for shipping within 2–4 business days to 90% of the United States. Unless otherwise specified, at the time of ordering, your vinyl wall graphics will be shipped via UPS Ground. If you have any questions about shipping rates or rush production, please contact customer service at (320) 965-5000 prior to ordering. Bring any room to life with custom vinyl wall graphics! These decals are digitally printed on a durable vinyl material that will adhere to any smooth non-porous surface. Create custom graphics of your company’s logo to place on walls at your business or add inspirational quotes to the breakroom to keep employee morale up. They also work great at home too. Add them in any room to create custom wall decor that is sure to brighten up the room. Vinyl wall graphics come in multiple cut options, we offer a simple square cut, a contour cut, and a die-cut with transfer tape for easy installation. 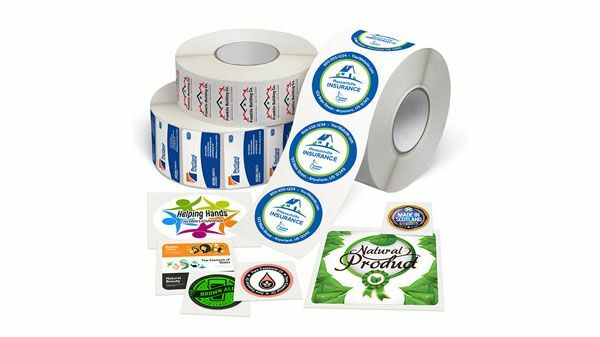 To get started, choose your size, quantity, and cut option, then upload your design or create your own design using our free online designer where you can add text, color, and imagery to your decal. What material is used for your vinyl wall graphics? Our custom vinyl wall graphics are digitally printed on an 8 mil adhesive back vinyl material. Do your vinyl wall graphics have a glossy or matte finish? Our wall graphics have a matte finish. Are your vinyl wall graphics repositionable? Yes, depending on which cut option you select. If you choose a square or contour-cut wall graphic you can reposition them. 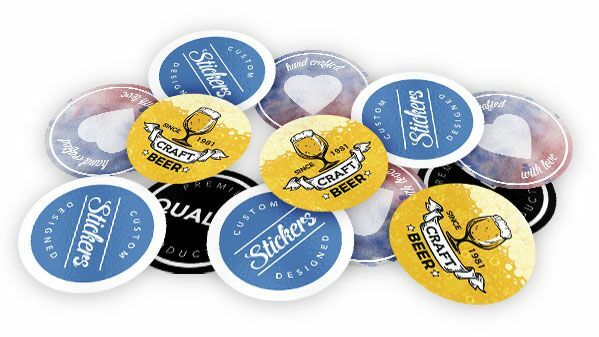 If you choose to do a die-cut with transfer tape cut option, we recommend you not try to reposition them. This is because of the delicate nature of the decal when it is die-cut, which could lead to tearing of the decal when trying to remove them. How large can a vinyl wall graphic be? We have a max print width of 54” and a max print height of 120” anything larger than 54 inches wide will require your decal to be printed in panels. The only factors that impact price of your vinyl wall decal are the size and the quantity of which you wish to order. Colors, fonts, and images will not affect the pricing of your decal. What are some common uses for vinyl wall graphics? 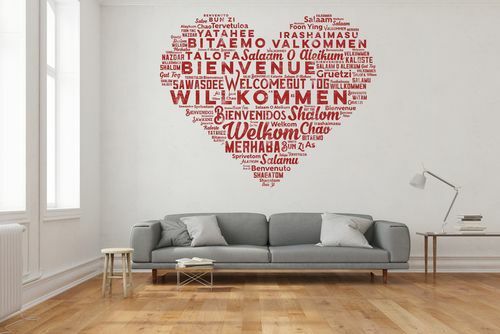 Vinyl wall graphics are a great way to decorate your home or office! Some of the more common uses we see are inspirational quotes in athletic rooms, offices, or homes. Wall decor for you bedroom, kitchen, living room, or bathroom. Use custom wall decals for business logos or company mottos. Add them to break or waiting rooms to brighten them up for your employees or customers. What surfaces can vinyl wall graphics be placed on? These graphics adhere best when placed on smooth, non-porous surfaces like smooth or painted walls, metal, glass, plastic and tile. We do not recommend placing these decals on brick, concrete, or any rough or porous surface as they will not properly adhere. Will these decals ruin my walls or paint? Vinyl wall graphics should not ruin your walls, paint, or wallpaper if properly applied and removed. We use a removable adhesive on our vinyl wall graphics so they are easy to reposition if you select a square or contour cut option and will leave little to no residue behind once they are removed.